Angie's List is a scam. After your company gets added they contact you and tell you that your company has been added and reviewed. If you'd like to have an enhanced listing you can pay us for that. They specifically outlined to one of my vendors that what they would be paying for is good reviews. They achieve this for you in two ways. One is by paying people to write the reviews, the other is by using telemarketers who call current consumer members and pressure them to write good reviews for your company. So the whole "we are acting in our members best interests" thing is bull! They have one interest in mind: their own. 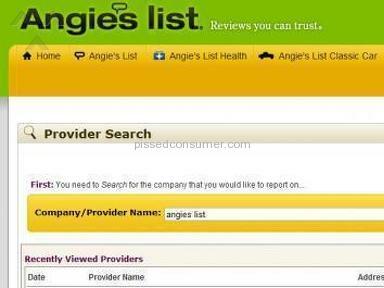 Angie's List is not honest... you can never know if the reviews you're reading are true or not. Review #172946 is a subjective opinion of twirls99. I think ANGIES LIST is a spin off scam co of TRUMP! total waste of time - ALL i am going to say/waste bc I ain't wasting more time typing crap about this BS svc: ANGIE. if the below (from ME, to contractors on ANGIES LIST) ain't detailed enough what I want done..THERE'S A PROB and it ain't ME. Anglie can blow it. Contractors listed by "ANGIE" either didn't show up, didn't reply, or worse.. One contractor did show up - only to say, "i don't don't do this kindda' stuff". WELL.... can anyone with ANGIES LIST fricking read?? This below list/email to prospective contractors aint detailed ENOUGH / WHAT THE HECK I NEED DONE / WHAT ONE IS BEING ASKED TO PERFORM/PROVIDE JOB QUOTES:"Hi, Rafael - Have a few projects I need done asap, please. However, the project about "the pavers", that project is to be done very last. Look forward to hearing from you - J.B.Need nine (9) holes dug & placement of four (4) 'concrete pier blocks' in 4 holes - all holes to prep for assembly/installation of soon-to-arrive carport (8'x10') to arrive (carport is being assembled/installed by a company) & to plant small trees; Need placement of wire mesh fencing (20' x 32' x 40' x 12') - fencing does not require any digging/posts - will use zip ties/stakes/mallet; Need (~ 200 sq ft) area (gravel/soil) leveled, with all gravel removed & surface area level (and without medium/large-sized rocks) to prep for placement of artificial grass (already purchased/pre-cut, but will need cutting to fit small ground area of ~ 200 sq ft - grass will be secured to ground with ground spikes); Need placement of (5' x 3') wood gate (gate already purchased/built, but I need two (2) holes dug & placement of 2 wooden poles & brackets/secure gate to pole [doesn't need handle or latch/lock]; Place/secure 2 (6' x 8') pre-assembled bamboo panels (exterior), stabilizing both with ground support; Ground surface for all needed projects is gravel/soil; Need RV door (2) screens (31" x 23" & 20" x 23") replaced; Need placement of sun blackout screen at RV exterior windows & placement of RV windshield (exterior) UV shield; Will reimburse for fuel, expenses/materials; After all projects completed, need estimate for placement of concrete 4' x 12' pavers (no cement) at 8' x 20' area (surface to place pavers is soil/gravel); Need all trash/left over materials to be hauled off to dump yard; Need small propane gas grill/tank, 2 RV tires and small inflatable raft - all hauled away; Will need contractor to pick-up all needed supplies and plants at Home Depot. Thanks - J.B."
Yes just like Yelp. Angies list told us for $3600 a year they would take care of all the reviews. All professionally written by reviewers in our state. All fake of course. Companies get to pick and chose what reviews are posted. I know this for a FACT! I am on the customer end..and joined Angie's list. 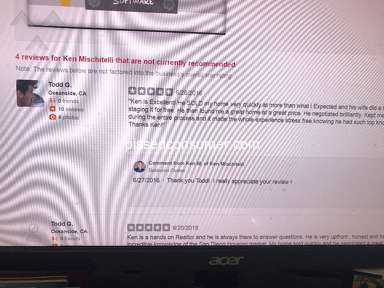 Started looking for information on bogus reviews because two veterinarians in my area that are deplorable(both from personal experience and other people consider them the worst), get high ratings on Angie's list. This makes me very suspicious. On the money. This is a business model that will eventually fail, but for now they're scamming people right and left, under the guise of helping consumers and good companies. They really should be ashamed. Who would AL recommend? A good and reliable contractor who did not pay them or a bad and unreliable one who paid them? Angies list uses a web service called "trilion reviews pros & cons.com"
My company is on AL just to be on it for free and if any of my customers want to leave a review. But I refuse to pay them anything. I don't need their paid service to get customer calls. They called, asking me to give them my list of customers and contact numbers and I would not do that. It does not seem right for me to give out my customers' numbers and the AL rep said that they will check the list and only call people that are already AL members. Um, no way. I am not that trusting and I will always put my customers first. Bottom line, I just use AL for the free biz listing but I get most of my calls from my free listings on craigslist. I have no doubt about this at all. Angie's List IS truly a scam. I would never trust them for referrals. I live in the Metro DC area and would ONLY use the unbiased WASHINGTON CONSUMER CHECKBOOK listings. And you don't even need to subscribe to the periodical to get it. Just go to the library and look it up for FREE either by the hard-copies on the shelf or the more updated on-line version. NEVER use Angie's List, for SURE ! angies list is a great big lie they take your money I don't care Told me I would get the call center and all traffic and if not olot of jobs come in they would advertise til they did When I called and said have not received any jobs yet and you have took 800.00 dollars out of my account. they said my reviews were not enough. what happened to the only gutter cleaner in the call center. They took all the money was not assamed. If we the contractors half *** did are job we would not last long. I do see this happen to this company. I just joined AL 2 months ago as one of my competitors who is a fraction of my size has over 147 (!) A positive ratings and seemed to be thriving on AL for leads & biz. Now that I'm a biz member I've gotten two glowing customer reports in a month- problem is neither one is a customer, but they specifically mentioned my company name. 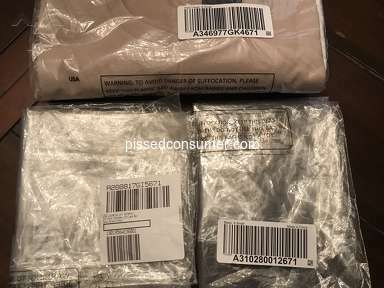 Clearly my competitor has learned how to "scam" AL's system. Plus, a friend was contacted 2 weeks ago by AL after her search on their site wanting to "help" her write a review on a company. As she tells it AL put words in her mouth and steered the whole conversation in the "positive" direction they wanted for a member company's grade of an A.
AL is a complete fraud! I think this review hit right on. I received 3 bad reviews from people we did not do work for. There were circumstances that was explained to each on why we were unable to do the work. Yet we received bad reviews and the folks @ angies list said the bad reviews affected calls for work. An ex-customer of ours reported to AL that our company broke his well pump three years ago and we refused to replace that pump. We did do work at his home but we were not responsible for his faulty pump. We do not pay AL and never have, and as others have posted, as soon as we had one review, AL calls and emails every week and has been doing so for many years. Up until this man's poor review, we were rated A+ with AL, his review brought us to a B. We called AL to state our case and AL stated the only way to reverse his poor rating is to make him happy. He wants $5,000.00 for his pump to be replaced and for "personal loss and damages." There is no way we would ever pay a liar $5,000.00 to get a good grade on AL. 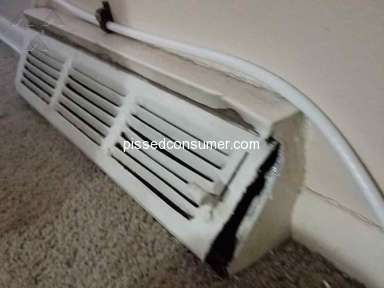 There are contractors that do pay the price and, unfortunately, consumers believe the lies. It is known in our area that you can call one of our competitors and get anything you want for free, just complain to AL and the company will refund your money to keep a good rating with AL. Not on your life with us, we'll take the poor grade. One bad review after another...Wow...why would anyone pay to belong to this company. You can get better information from your local BBB and its free! 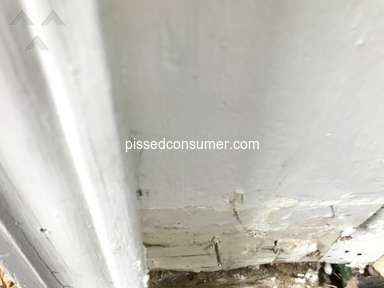 Angies List has posted bogus reviews on our "site", there are some we didn't even do work for. 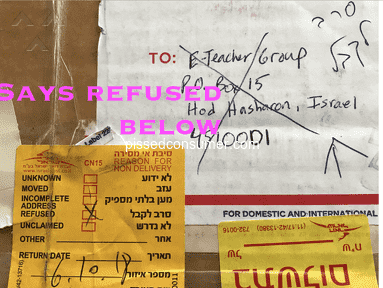 When we contacted these "customers" we requested and received letters stating they had never done business with us. When we approached Angie List with this info, it was blown off as computer error. But they never removed them either. What possible benefit could this company be to anyone? It must be true "a sucker and his money are soon parted". I thought I signed up for the free business program. buuuuuuut, as was said here, it was bull----. also I saw that I actually got a few ratings from supposedly individuals saying that I did lousy work, etc, from people that I have never met in my life. was never at the home, or never spoke to the person behind the write-ups. soooo, I called her list and demanded that they remove me asap, etc etc. I told them the issue and they seemed like it was commonplace in their no care attitude they expressed to me. Absolute rip off. Nothing is free neither for the contractor or the client. Find better ways to advertise because you will be losing at least $260 a month and will be asked to create BS jacked up pricing coupons to attract the "elite clientele of AL" - yes that is how much they care about there members they advise contractors to create those so called deals and they also participate in profits. So future clients of AL, find yourself a professional services websites that are free, it only looks good on commercials.